Guest post by Daniel G. Taub. With billions of neurons in the human brain, making the right connections during development seems a daunting task. 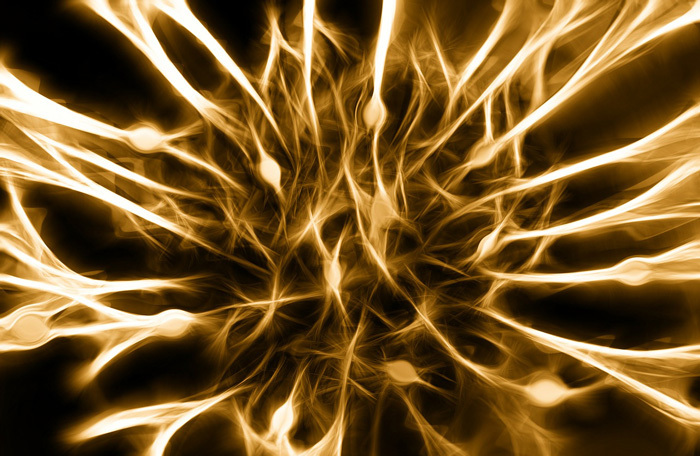 A developing neuron often follows the lead of trailblazers, using existing bundles of axons called axonal tracts as a guide. But how does the original axonal tract get laid down? 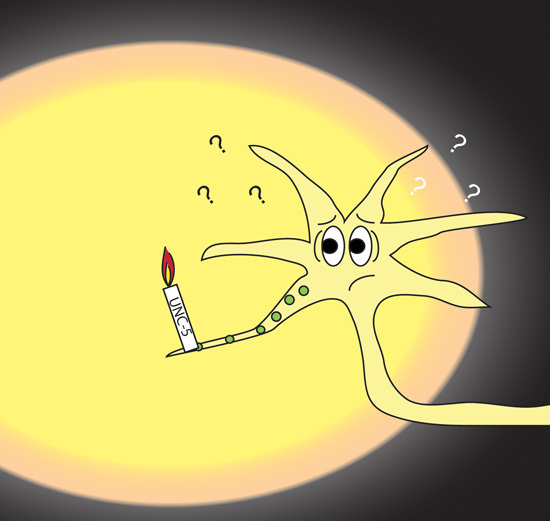 In the July issue of GENETICS, Bhat and Hutter use the nematode Caenorhabditis elegans to introduce a new factor crucial for helping pioneer axons find their way, setting the template for the developing nervous system. Compared to the billions of neurons in the human brain, the C. elegans central nervous system has just 302, making it a powerful model for studying nervous system development. C. elegans has a long ventral nerve cord that extends the length of the nematode and is important for relaying information to and from the head, as well as coordinating motor movement. During development of the ventral nerve cord, the Anterior Guidepost Neuron (AVG) extends an axon to establish a blueprint upon which the rest of the nerve cord is built. The AVG represents a unique model for studying pioneering axon outgrowth, allowing for high throughput genetic studies to examine the factors mediating axonal growth and guidance. Previous screens seeking genes influencing AVG guidance have yielded only a few hits. To find other components, Bhat and Hutter looked for mutations that exacerbated the mild AVG axonal guidance defect of nid-1 mutants, which have lost function of the basement membrane protein nidogen. This screen revealed that losing function of aex-3, a guanine nucleotide exchange factor, significantly enhanced the AVG guidance errors of the nid-1 strain. AEX-3 is involved in coordinating vesicular trafficking, transporting proteins and other molecules from the inside of the cell to the outside. How might AEX-3 influence the path taken by a pioneer neuron? Further experiments suggest it works by helping traffic the receptor UNC-5 to an extension of the developing axon called the growth cone. This dynamic structure senses molecular guidance cues in the extracellular environment and helps set the axon’s course. One such cue is the extracellular matrix protein netrin (known as UNC-6 in C. elegans), part of a system that helps migrating cell types orientate themselves within the maze-like interior of a developing worm. UNC-6 levels increase as you travel from the front (ventral side) to the back (dorsal side) of the worm, and neurons that express the UNC-6 receptor UNC-5 generally move away from higher concentrations of UNC-6 . Genetic interaction tests suggested that both UNC-5 and UNC-6 influence AVG guidance via the AEX-3 pathway. If the aex-3 pathway is important for UNC-5 trafficking, which mediates a repulsive response to the high concentration of UNC-6 on the ventral side, then why doesn’t the AVG axon always migrate toward the dorsal side? Besides the UNC-6 ventral-dorsal gradient, there also exists an anterior (head) to posterior (tail) Wnt-signaling gradient. This gradient has been proposed to act redundantly with UNC-5 signaling, suggesting that Wnt-signaling may be able to keep the AVG neuron on track when UNC-5 signaling fails (Levy-Strumpf et al., 2014). The authors find that AVG guidance defects are mostly “crossover” events, in which the AVG axon crosses the worm’s midline to the wrong side. Intriguingly, the majority of these crossover events occur more frequently in the anterior portion of the worm, where Wnt gradients might be changing. Whether Wnt signaling is also involved and how the dynamic interplay between these pathways controls AVG axonal guidance will be an interesting avenue of study. Both aex-3 and rab-3 are evolutionarily conserved, which suggests this crucial piece of the puzzle of how the AVG finds its way through the worm may one day help us understand pioneering axon development in the human nervous system. Levy-Strumpf N, Culotti JG (2014) Netrins and Wnts Function Redundantly to Regulate Antero-Posterior and Dorso-Ventral Guidance in C. elegans. PLOS Genet 10:e1004381. 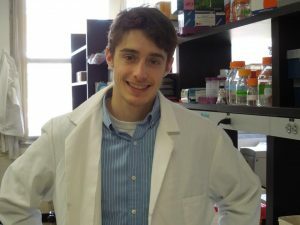 About the author: Daniel is a PhD candidate in the Gabel Lab at Boston University in the department of Physiology and Biophysics. He studies neuronal development and regeneration in model organisms. Follow him on Twitter @dgtaub.